Dell Latitude 10 is a 10.1" Windows 8 tablet which according to the company is built to fit into existing IT environments, offering security and manageability features that IT admins are used to having on typical client machines they deploy inside the network. That means the Latitude 10 easily plugs into existing management consoles, and also offers optional support for security features like Dell Data Protection and Encryption. 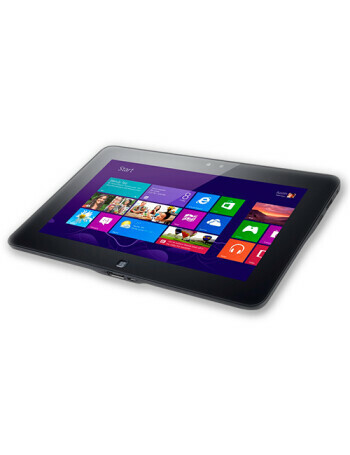 This tablet also supports an active stylus for customers in business environments that need it. The Latitude 10 also supports a swappable battery. With the optional productivity dock, the Latitude 10 offers up to 18 hours of battery life.